Work Differently. Install A Sandbox In Your Office. Tired of your normal workspace? 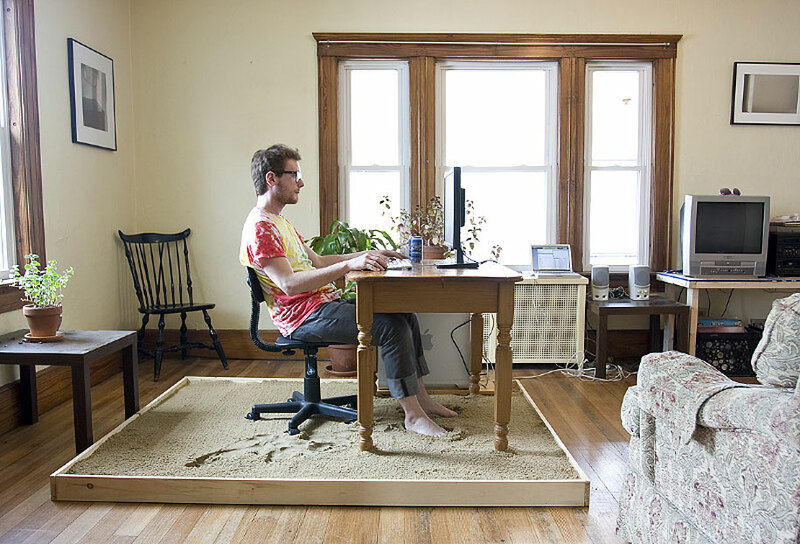 Break out of your daily routine, your familiar home office and do it like Massachusetts-based artist Justin Kemp who installed a large sandbox underneath his desk. Even if you cannot work from a beach at least you get that sandy feeling on your feet. Posted byNader January 28, 2014 January 8, 2017 Posted inDesign, FunTags: beach, desk, interior, office, sand, workplace1 Comment on Work Differently. Install A Sandbox In Your Office.